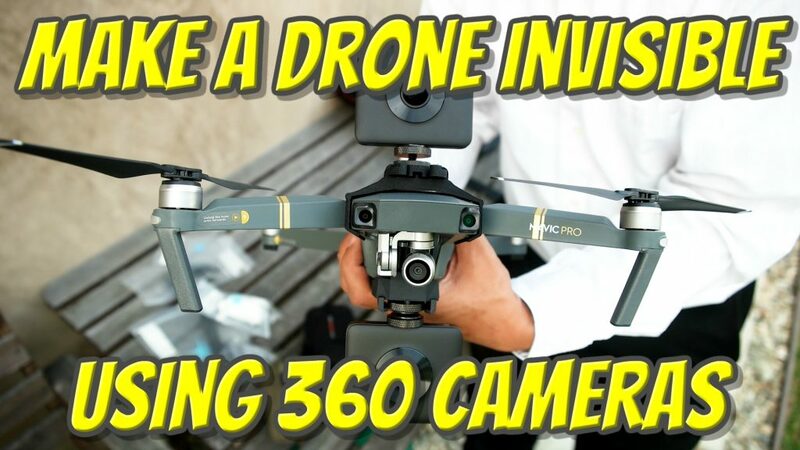 You can use a pair of 360 cameras to make a drone appear invisible in a 360 video. This is the approach used by Kodak PIXPRO with the SP360 4K Dual Pro Aerial Kit (which I will show next time). Now, 3D printed mounts designed by Jean-Marie Cannie have made it possible to do the same with many types of 360 cameras, using the very popular DJI Mavic Pro drone. I wrote about Jean-Marie’s mount previously and now I’ve had the chance to use them. Here are sample videos with the mount. – Karamba Mavic top mount, bottom mount, and extension clip, all available here. – DJI Mavic from Gearbest, Amazon or B&H Photo. You can compare the prices (including taxes, shipping and of course availability) between these three stores. Full disclosure: Gearbest’s Mavic has Chinese documentation but the English manual etc. are available online. – video editing software with multi-track capability and if possible, 360 support (including the ability to rotate the video). The concept is that you need to combine the top half of the 360 video from the top camera, with the bottom half of the bottom camera’s video. In this video, the approach I used was to mask the videos then overlay them (I used Premiere to do this, although many other video editors can do this too). The tricky part was that the stabilization of the two cameras was not in sync, so I had to keep them aligned by keyframing their movements. Yes it was extremely tedious. I’m going to try other approaches and find the best one. Next time, I will also show a demo of the Kodak SP360 4K Dual Pro Aerial Kit with the 3DR Solo quadcopter! – Like the Facebook 360 Rumors page. – Subscribe to the 360 Rumors YouTube channel. – Follow 360 Rumors on Twitter. – Subscribe to the 360 Rumors mailing list (if you ever forget, it’s also on the right side of the nav bar on top). I promise I won’t sell your info to other people. Possible to shot photos too?